Achievements: 4/25/09 Allie earns her Canadian championship. 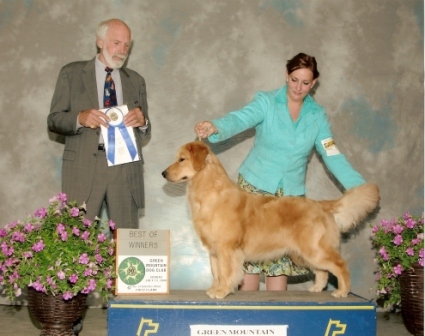 5/1/09 Won the 12-18 month class at the Lenape Golden Retriever Club Speciality. 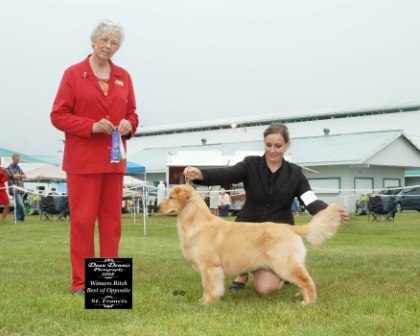 6/21/09 Penobscot Valley Kennel Club, WB/BOS (2 points) under Judge James White. Allie has earned her Amercian Championship.